Iredell Museums is governed by a Board of Directors. Fiscal accountability is maintained through policies adopted by the board and upheld by a treasurer, as well as through the separate services of a Certified Public Accountant. Funding comes from a variety of state, local and private sources, as well as from earned income. Additionally, the Museum employs an Operations Manager, Programs Coordinator and Assistant, and a Visitor Services Coordinator. Emily Baker grew up in western North Carolina. She received a B.A. from University of North Carolina Asheville and a Master’s in American History from Western Carolina University. Prior to arriving at Iredell Museums she worked at Old Salem Museums and Gardens as Program Coordinator of Humanities, Medicine, and Science, an NEH funded position. Her main interests include medical history, music history, traveling entertainment in the 19th and 20th centuries, Appalachian folklore, and the history of the southeast U.S. She is also looking forward to working with an Egyptian mummy. ​California native Samantha Moose moved to North Carolina at the age of 13. She graduated from Mooresville Senior High School class of 2009, earned her Associate of Arts from Mitchell Community College, then went on to earn her BA in History from the University of North Carolina at Charlotte. Samantha is recognized around Statesville for her role as Perline Foster in the Tom Dooley Project. She has two rescue dogs, Frank and Lucy, watches too much reality television and plays the banjo (just not very well.) She has a passion for Appalachian history, music and literature and loves anything local. 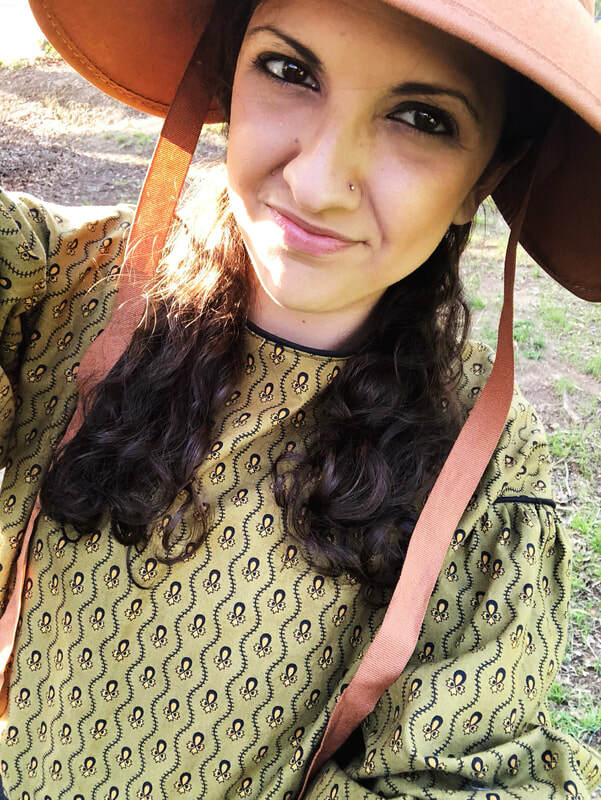 As the Visitor Services Coordinator for Iredell Museums, she is very much the face of the Museum both in house and while out doing community outreach. Samantha is a quintessential millennial, aspiring author and do-it-yourself kind of lady. Melanie grew up in Statesville and as a child visited the Iredell Museum’s mummy at the Museum Road location. As an adult, Melanie spent close to 25 years in the Charlotte area and on the North Carolina coast as a professional Christian educator in local United Methodist churches. She developed and coordinated programs for hundreds of children and youth in many different settings. One of her passions is helping kids connect to the past and guiding them toward their future through hands-on experiences. Melanie earned her BA in Christian Education from Pfeiffer University in Misenheimer, NC, and is attending graduate school through the School of Social Work at UNC-Chapel Hill’s Distance Ed campus in Winston-Salem. Hadley was born and raised in High Point, North Carolina and recently graduated from UNC Charlotte with a Bachelor's Degree in Anthropology and a minor in History. She was a former intern at the King’s Mountain Historical Museum, as well as Middleton Place Foundation in Charleston, SC. In spring of 2018, she traveled to Bolivia and saw several pre-Columbian archeological sites. She hopes go back to South America soon to visit Bolivia again as well as Peru and Brazil. Hadley enjoys all types of history but her strong suit is American History. Hadley’s passion is educating others through living history interpretation. Museum work is her calling and one day she hopes to be a curator and living in Charleston, SC.